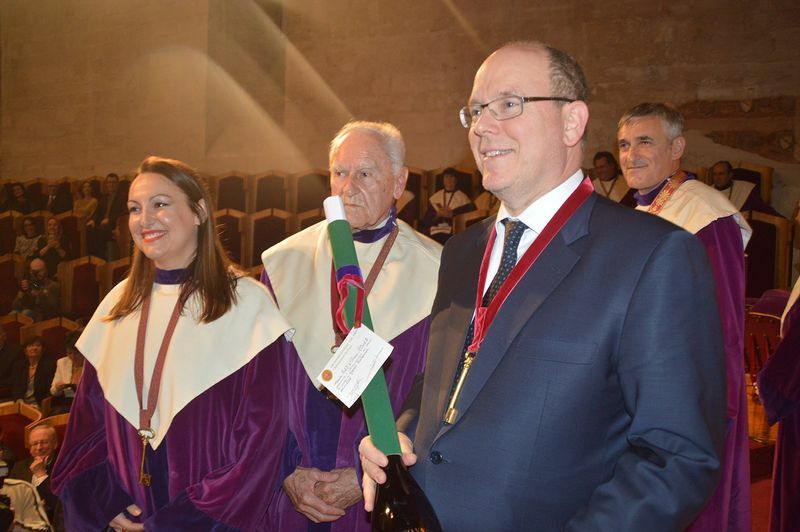 In the Conclave Room of the Palace of the Popes, in Avignon, eight new personalities, among whom His Serene Highness Prince Albert II of Monaco, were inducted into the Echansonnerie des Papes Brotherhood on Friday 1st April. 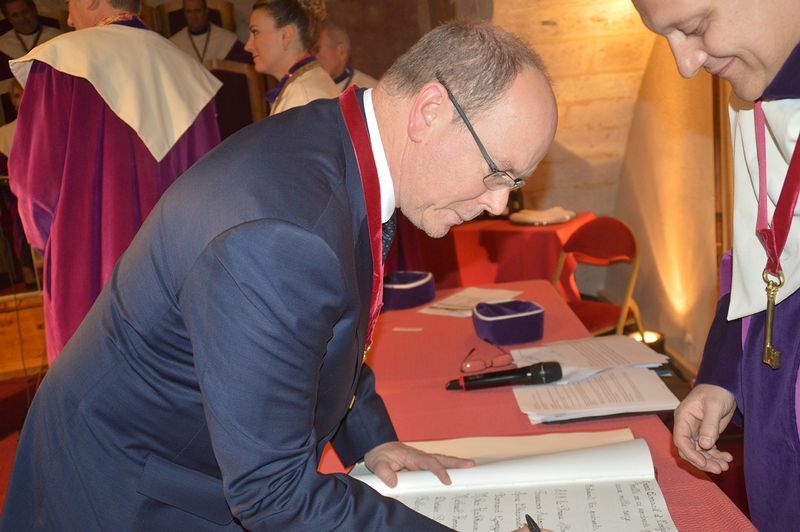 On Friday 1st April, in the Conclave Room of the Palace of the Popes, in Avignon, eight new personalities, among whom His Serene Highness Prince Albert II of Monaco, were inducted into the Echansonnerie des Papes Brotherhood. 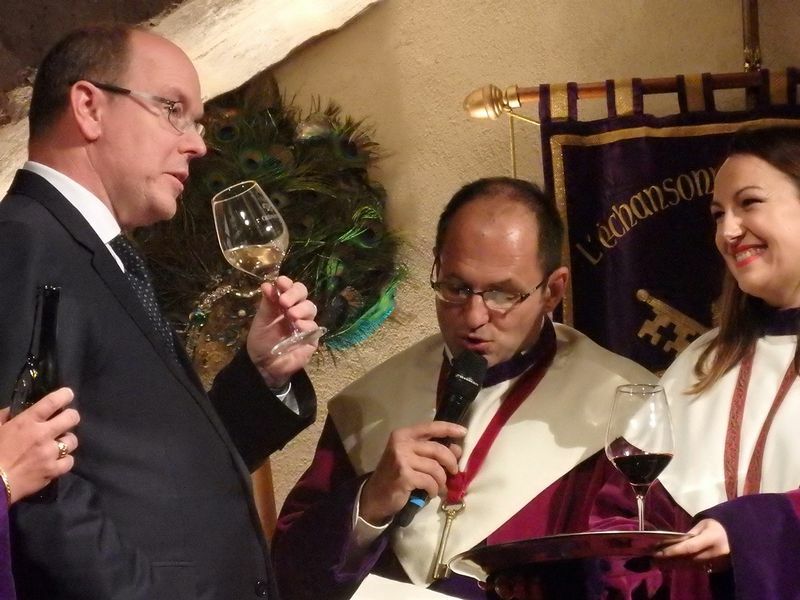 « Receive this key that opens the door to our cellars and to our hearts ». 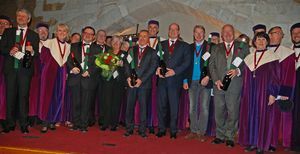 Mika Häkkinen, racing driver, Formula 1 World Champion in 1998 and 1999. Thereby, the Prince of Monaco and his then fellow échansons joined the group of 3500 or so figures which have been inducted since 1968, the year the Echansonnerie des Papes, the Brotherhood of Châteauneuf-du-Pape Wines, was created. 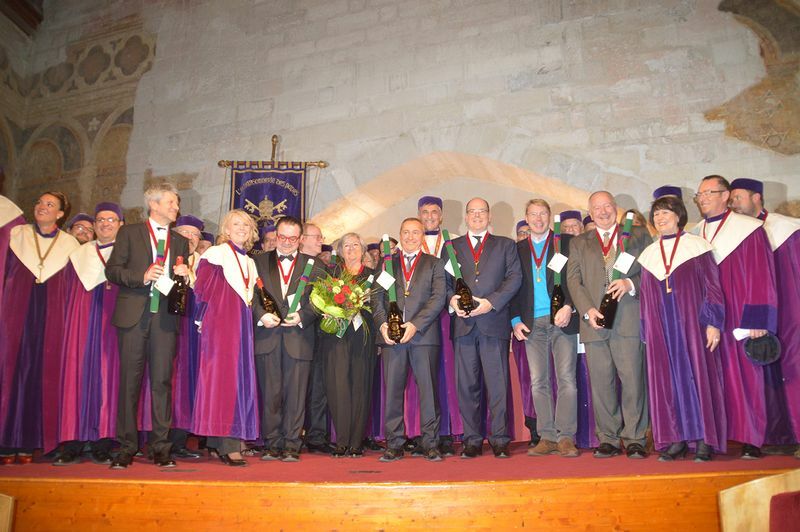 All Echansons are now the champions of the Châteauneuf-du-Pape wine appellation, the very first PDO (Protected Denomination of Origin) in France, celebrating its 80th birthday this year!